The third year of the Kia Super League kicked off last week, with a decent start from the Western Storm girls. It's great that the amount of games has doubled from last year and chatting to some of the other England girls, it really feels like the standard has gone up another level this year and not just from the international players. There have been some really good performances from some of the younger girls coming through and it's been great to see. Ellie Threlkeld at Lancashire Thunder was impressive last Friday, while Emma Lamb has bowled well up there and Sophia Dunkley at Surrey Stars has also performed well. Down at Storm we've got quite a similar squad to last year but with a new overseas addition in India's Smriti Mandhana. Having never batted with Smriti before, I was in with her from the second ball of our first match against Yorkshire Diamonds. Mid-partnership, she told me she was struggling to call between the wickets in English, which as you can imagine may have been a slight issue, as my Hindi is pretty shady to say the least! So I asked her to teach me what 'yes' was in Hindi – 'Haan', apparently. Luckily it wasn't needed as she just kept whacking boundaries! Learning a new language out in the middle – one of the unique things about the KSL. We're on the road this week, fitting in Arundel, Old Trafford and Scarborough after hosting our first three games. We've really built a base and a following at our home venues of Taunton and Bristol, and come 2020 when the new competition starts, I really do hope we'll play some sort of domestic cricket there as the support for the women's game in the West Country has been brilliant. Before that though, we've got a competition to win. It's going to be a really tough ask to retain the title, but hopefully we can continue our good start and make it to Finals Day again. Looking back on the international summer, it was a really positive one for us as a team. It was our first international cricket at home since that day at Lord's last summer and you could feel the support from the crowd. There were lots of outstanding individual performances, three series wins over South Africa and New Zealand, and a new T20 world record score to boot. The biggest win for me was our bowling. The standard of batting has gone to another level around the world and we challenged our bowlers to upskill, particularly on flat wickets. 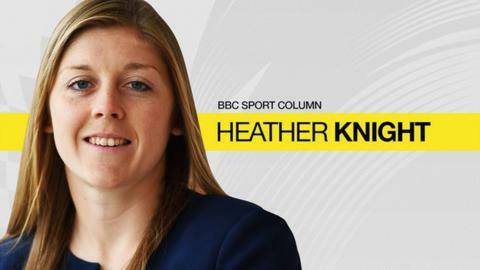 They were outstanding all summer, most notably our own Yin and Yang – the fierce and fiery Katherine Brunt and the slightly more studied Anya Shrubsole – leading the ******. If we're going to be successful this winter at the World Twenty20 in the Caribbean, our bowling unit is going to be key. There were also some areas we know we need to improve on as a side. In our past two one-day internationals against New Zealand, we weren't able to punch out big enough totals on dry, slow wickets. It's never a bad thing when it becomes clear how you need to develop and adapting to different wickets, with the different island venues in the Caribbean, is something we're also going to need to do well come the World T20. There were obviously some other important games for an England side going on out in Russia while our games were taking place – and we were definitely caught up in World Cup fever. Myself, Sarah Taylor and Danni Wyatt decided to relive our childhoods and get the World Cup sticker book going. Wyatt was definitely the most successful, purely by getting loads of free stickers from her social media following! Luckily she gave me her cast-offs. It also was slightly surreal playing our ODI against New Zealand at Headingley while the England v Sweden quarter-final was going on. Luckily the people of Yorkshire were particularly good at multi-tasking and managed to half-watch our game and half-watch the football. It was pretty obvious when the goals went in – I've never seen a dot ball cheered so loudly! In between the internationals, I headed to Buckingham Palace with my family to collect an OBE from Prince Charles. It was a very lovely day and – at times – very surreal! The loos gave me a little bit of a shock when I headed to the ladies, not your everyday toilets! It was a nice day to share with my mum, dad and brother as they've been such a massive part of getting me to where I am now. I was also lucky enough to head to Wimbledon. I was there for the first day of the tournament, which fortunately fell in the middle of our tour on one of our days off before the New Zealand series. Obviously tennis can only ever claim to be the second-best summer sport – it's obvious that cricket takes number one – but it was lovely to visit such a beautiful venue. I'm also hoping that the Super League schedule leaves enough time for me to get to the Hockey World Cup at some point over the next week. I'm keeping everything crossed for the England team. It would be amazing if they could get their hands on their World Cup as well – they deserve it.